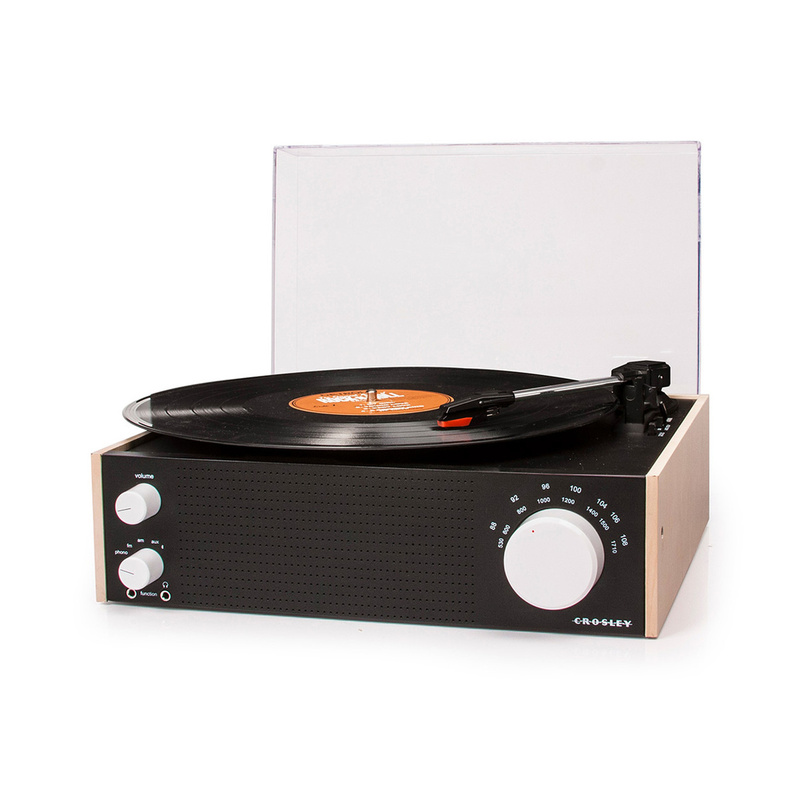 Radio, Bluetooth, MP3 connection – the Crosley Switch Record Player is a perfect mix between vintage and new technology. Modern sounds and a vintage design come together in the Crosley Switch Record Player, an elegant and functional element dedicated to those who love playing and listening to music with a timeless 1960s and 1970s atmosphere. Whether you are looking to give yourself or a friend a little something this item by Crosley, an American company specializing in the production of record players, musical instruments, and accessories is perfect. Equipped with many features, this record player uses a Belt Driven system that, thanks to the belt drive, makes the sound quality particularly pleasant. Moreover, it comes with built-in Dynamic Full Range speakers, AM/FM radio, Bluetooth input and MP3 player connection port. The magnetic cartridge is equipped with a diamond stylus while a special jack allows you to plug in headphones. 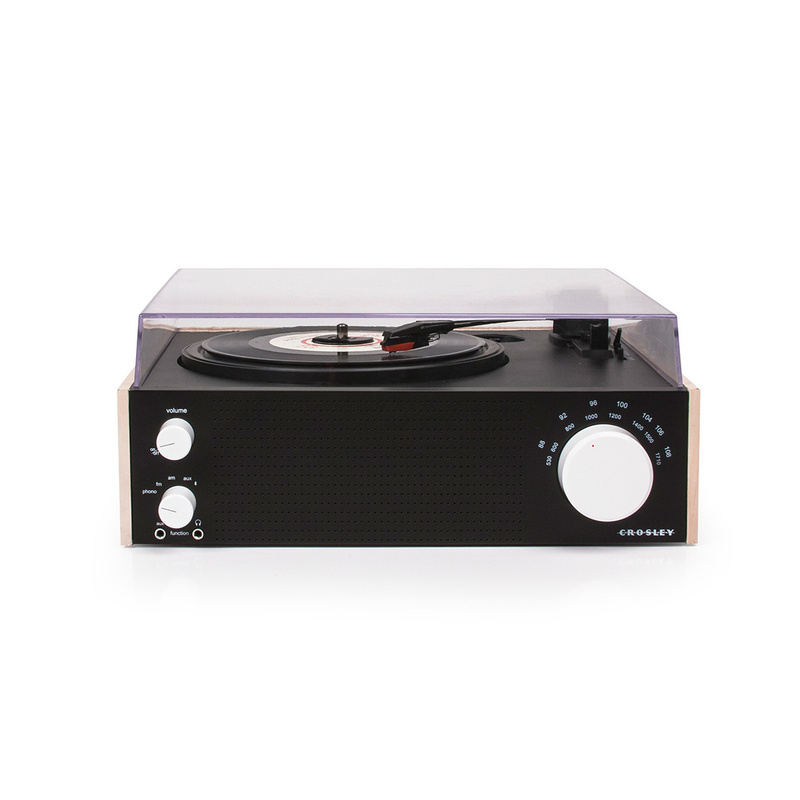 The Crosley Switch Record Player allows you to listen to vinyl records at 3 different speeds (33 1/3, 45, and 78) and includes an RCA output to connect speakers. However, such advanced technology goes hand in hand with a great care for the design and materials used to built it. In a compact and rectangular shape, the Crosley Switch Record Player features a essential lines that recall record players of old. 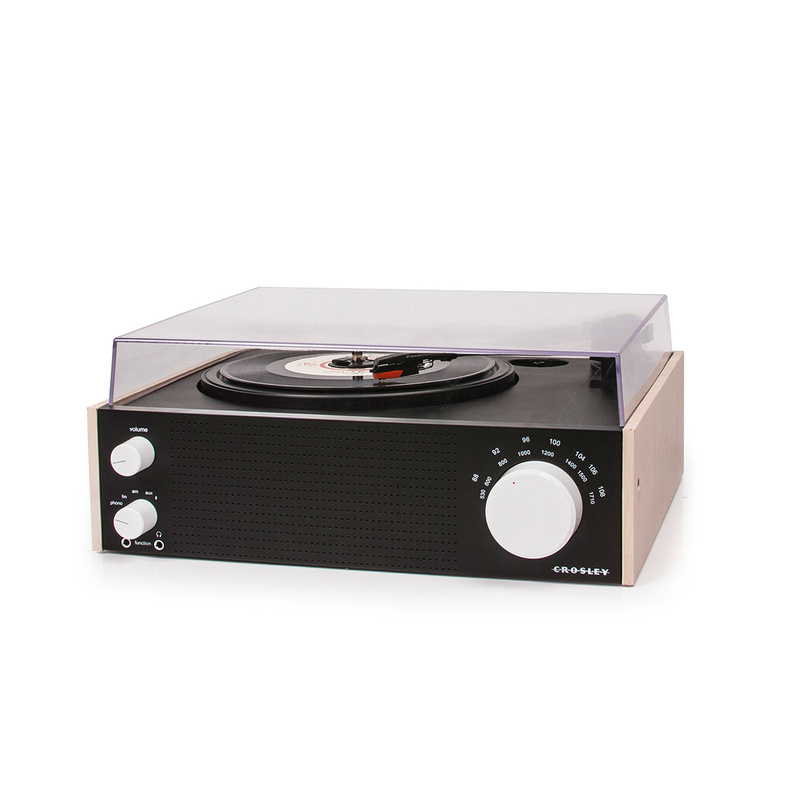 Its minimal look should not deceive you though – this record player can enhance any living rooms, bedroom, or public place with its refined retro look. 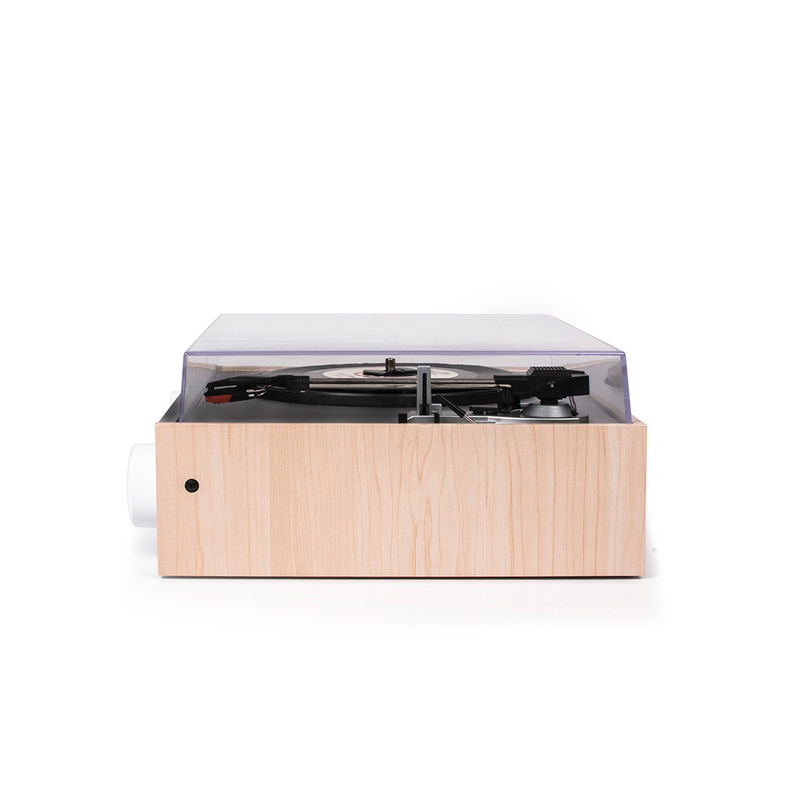 The record player cabinet is made of wood in its natural colour contrasting with the front facade made in black and featuring holes for the speakers, the white knobs to regulate sound and volume, the headphones and speakers inputs, and the brand logo, underlining the value and quality of the item. Turntable, needle, and mechanism are protected from dust and moisture by the transparent Plexiglas lid you can keep closed when you aren’t using the record player or which you can remove at any time. 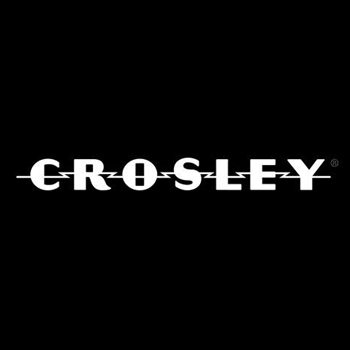 Crosley gets its moniker from Powel Crosley, a pretty radical character from the 1920s who knew music was for the people and created a radio for everyone. The company's first turntable was released in 1992, when CDs were still king, and from that moment its mantra is: "amplify your style". Crosley's products are sleek and modern, funky and eclectic.